This post was brought to you by ConAgra Foods. I’m so over Winter. The weather has been so crazy with cold snaps and lots of rain in the South that we don’t get out and do much. We’ve taken to hibernating and finding things to do around the house. 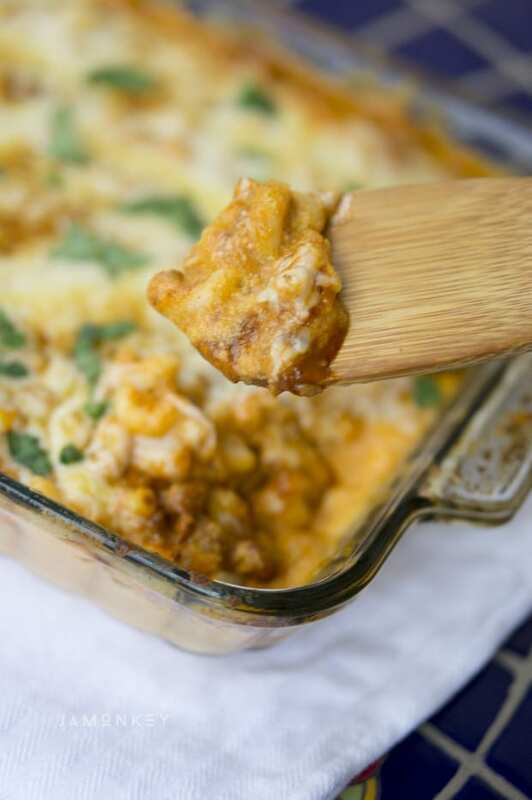 That also means we make more comfort food to eat while we snuggle up together. 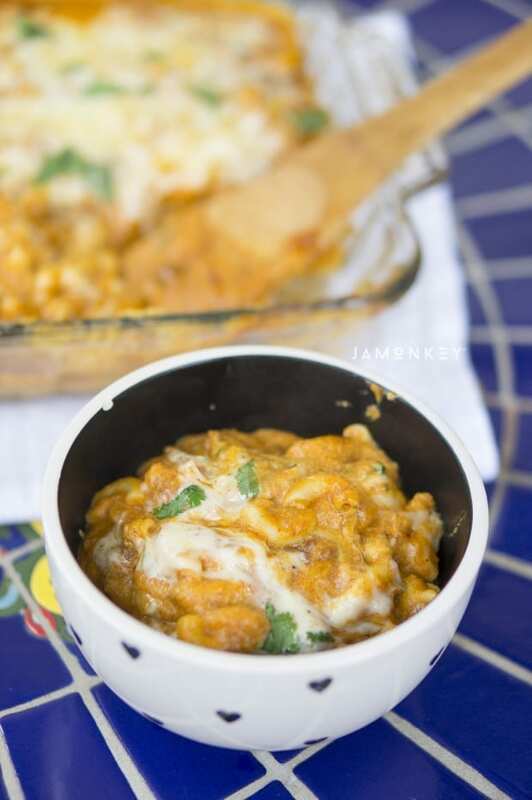 This Hidden Veggie Chili Mac recipe is a new one that made for my family and they really enjoyed it. My kids have no problem eating their vegetables but sometimes I like to get creative with how we feed it to them. Taking one look at this recipe I bet you wouldn’t have guessed that there are carrots, butternut squash and orange cauliflower in it. 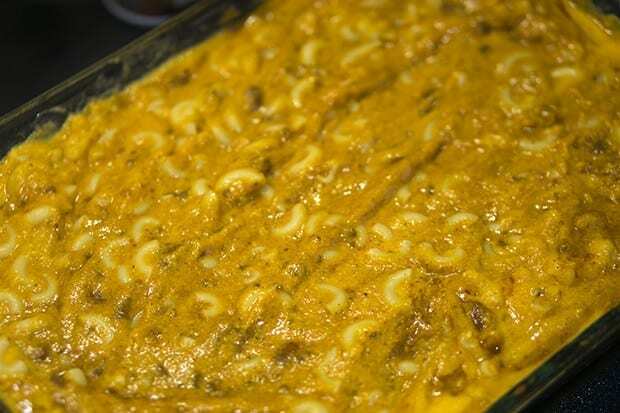 It is actually what gives this macaroni and cheese the bright yellow / orange color you are used to seeing. The cheddar cheese I use is white, so it was a nice addition. I made a batch of this chili mac and we all ate dinner while watching some awesome science shows. We like to nerd out together and learn something new together. 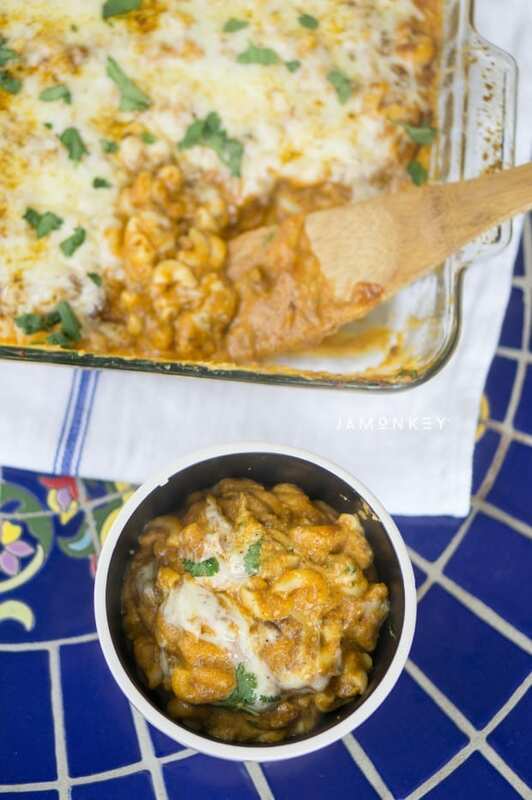 I found the hidden veggie mac on Facebook the other day and decided to change up the recipe a bit by cutting out some of the fat and adding the chili for more protein. I was so excited to find PAM Organic Olive Oil cooking spray. I’ve been waiting for an organic cooking spray that I can get at my local store. I also used Wolf Brand Chili in our Hidden Veggie Chili Mac because of its big bold flavor. 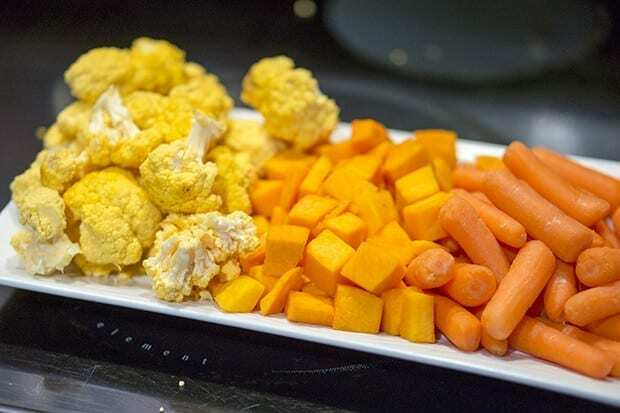 In a pot, bring a small amount of water to boil and use a steamer basket to steam the carrots, butternut squash, and cauliflower for 10 minutes. 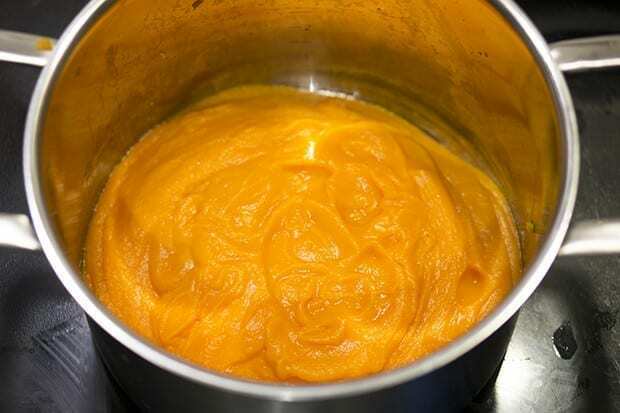 Place the steamed vegetables into a blender or food processor to puree until smooth (add water as needed). Place the pureed vegetables back into the pot. Add milk and cheese and stir on medium heat until smooth. 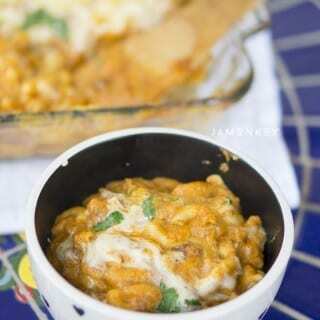 Add cooked macaroni noodles and turn off heat. 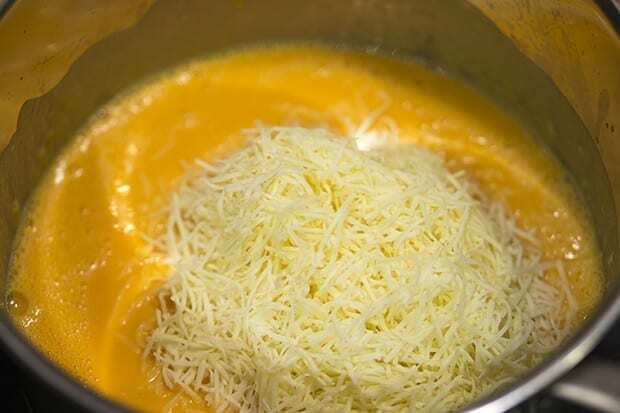 Cover for 20 minutes to allow the noodles to soak up the cheese mixture. Add 1 egg and salt and pepper to taste. Spray a 13X9 pan with PAM cooking spray. 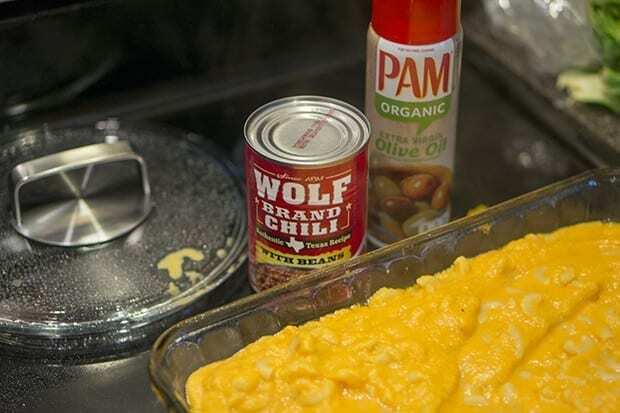 Pour mac and cheese into the pan and top with Wolf Brand Chili, blending it all together. Top with a cup of cheese and sprinkle with chili powder. Sprinkle cilantro on top before serving.